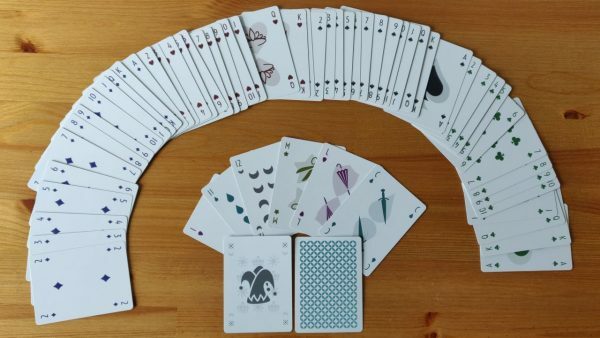 I have recently designed my own deck of playing cards, the Micaya Deck. I’m not a designer but I always loved playing cards. My interest in them is mostly from the playing aspect, I love the idea of a game system and the versatility of them. And I love unusual designs. The Micaya Deck has 4 more suits and 7 more ranks than a standard deck and has a clear and minimalist design. 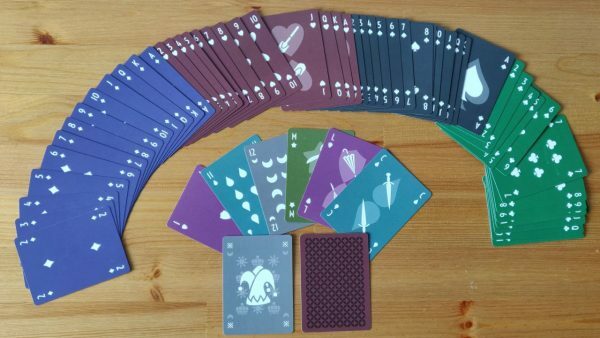 I initially only designed it for myself as a fun hobby project, but have opened the designs up on MakePlayingCards’s marketplace where anyone interested can purchase them. In this blog post I’ll explain some of my design choices and the history of the Micaya Deck.